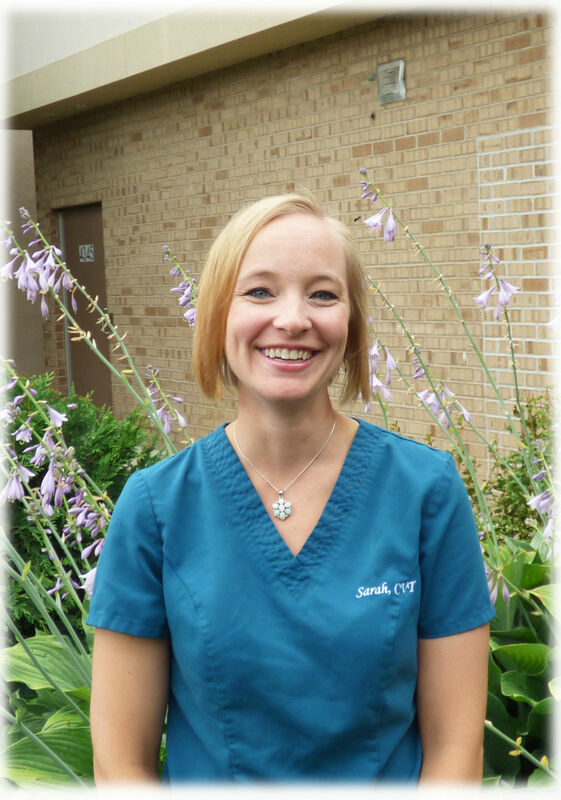 Our Certified Veterinary Technicians take pride in providing the best care possible for your pet. Our team of technicians are compassionate and experienced and above all put the health of your pet first. 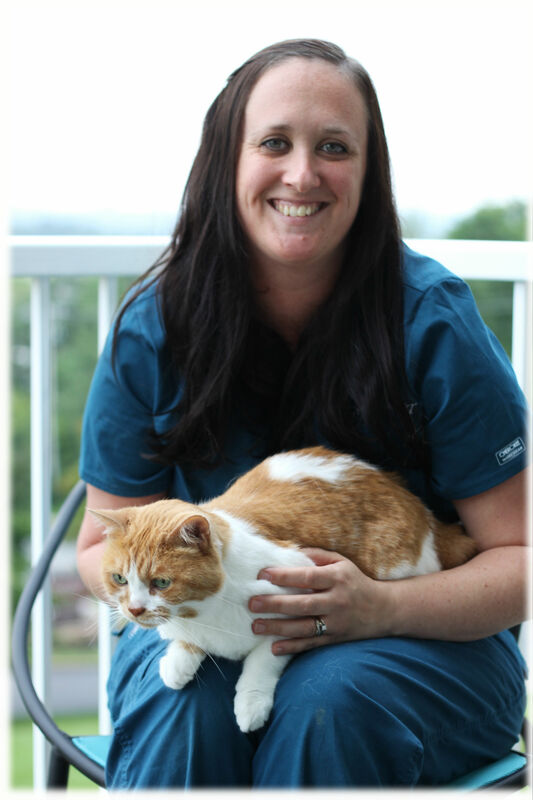 Our receptionists and assistants are the faces you see when you come through the doors of Westgate Pet Clinic. 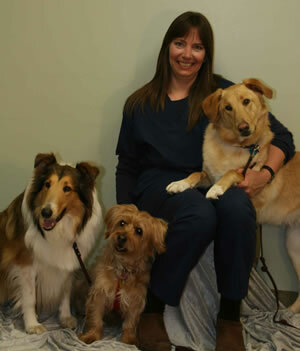 They strive to be friendly, helpful, knowledgeable and to get to know you and your pet by name. Our assistants are also the individuals that help to ensure that you and your pet have a wonderful experience during the exam room visit. 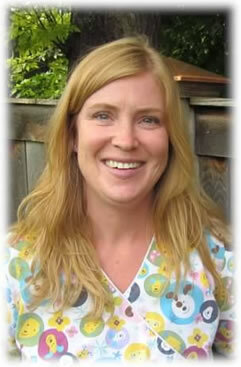 Our assistants are not only knowledgeable about pet related diseases, but they are great with animal care and handling. 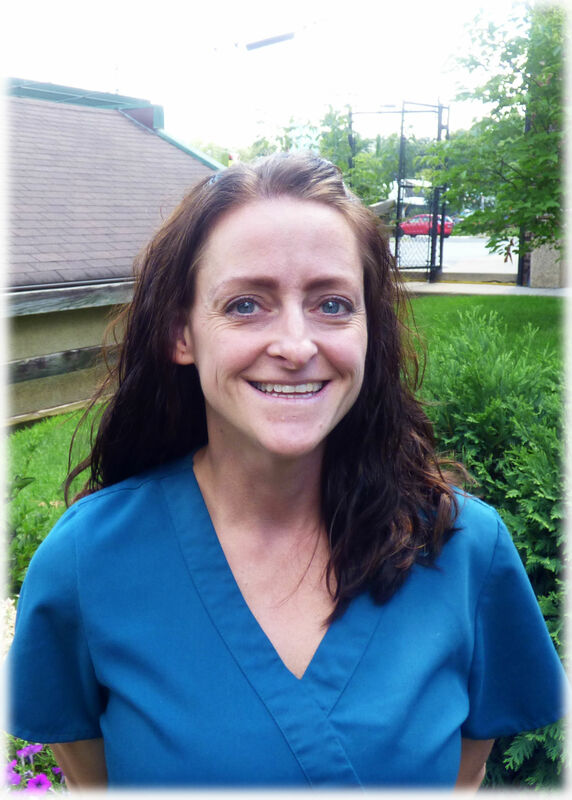 I've worked at Westgate since 1998 and have enjoyed all aspects of Veterinary Medicine. I currently spend a lot of time with administrative responsibilities, but still enjoy small animal nursing and learning more about canine and feline behavior. 3 dogs, Emmy, a rough collie, Elsa, a collie mix, Harriet, a Yorkie/Cairn mix plus 4 cats, Smitty, Aslan, Ducky and Squirrel. I graduated MIM in 1993. I was born in Minneapolis. I have worked at Westgate for almost 20 years. My hobbies include music and making things. 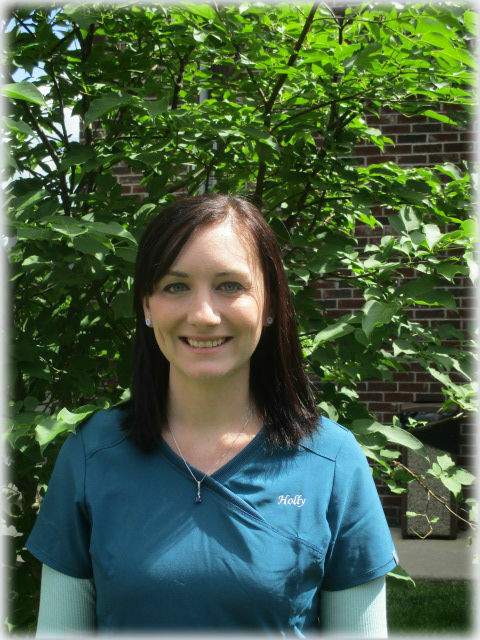 Hi my name is Kelly, and I am a veterinary assistant here at Westgate Pet Clinic. I've worked here since Aug 2003. I have 4 beautiful furry children, Bailey a lab mix, Bella a min pinscher, Bobby my Siamese cat and Crunchie my gray cat. I also have a new addition, a baby snapping turtle named Spike! I've worked at Westgate since 2005. Over the years, my areas of interest have changed somewhat. 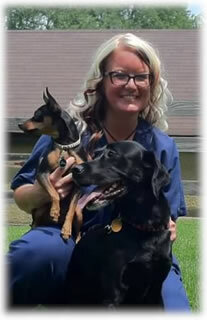 Currently, my focus is on the "Fear Free" approach to veterinary care. I am passionate about making sure the pets that come to see us are as comfortable as possible. I also have a special interest in surgery and anesthesia. I have cats, and will one day have a dog again. In the mean time, I often have someone else's dog at my house. because I enjoy pet-sitting! I graduated from Hamline University in 2006, with a degree in Environmental Science with an emphasis in animal behavior. 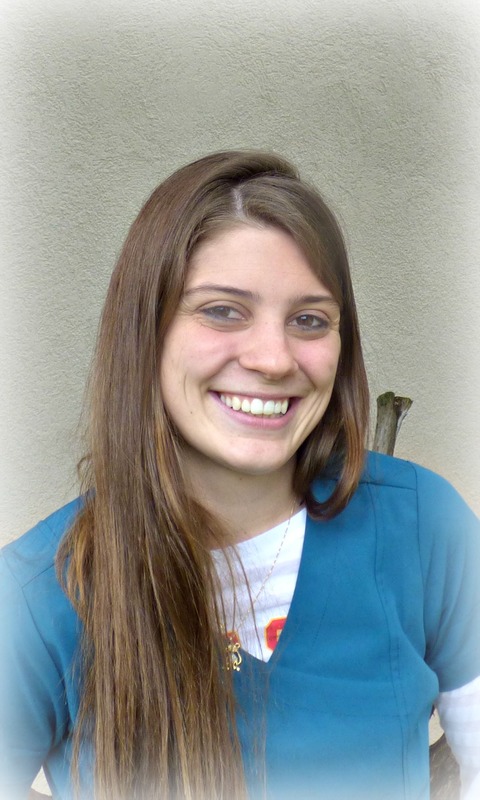 My name is Lindsay and I became a Westgate team member in November of 2006. I have always had a passion for animals, especially animal behavior - which made it very easy for me to accept the teaching position at our Canine Kindergarten Class here at Westgate! I am also lucky to share my home with two dogs - Josephine and Wayne, my four cats - Mama Jackson, Dinka-Dinka, Miranda and Carlos, and my tortoise - Mortis. HI! My name is Sarah. 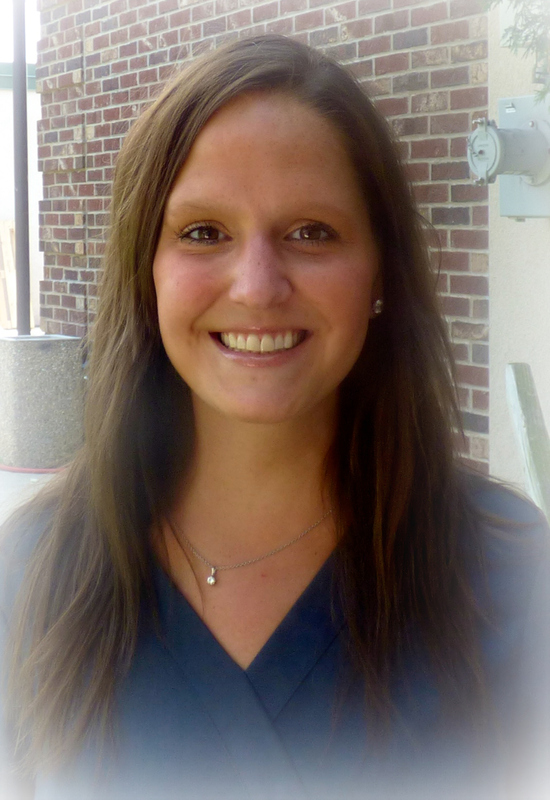 I began working at Westgate in March 2011 after working at the U of M Veterinary Medical Center. I have a Miniature Dachshund named Milhouse who's nickname is Chunk. 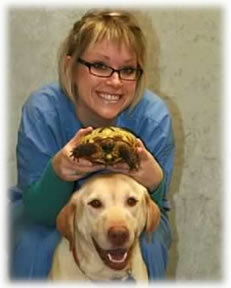 There are many aspects of veterinary medicine that I am interest me, including behavior, anesthesia and critical care. I have a Miniature Dachshund named Milhouse who's nickname is Chunk. I am originally from Wisconsin. I moved to Minneapolis in 2001. I am married & have 2 children (Marin & Harrison). I work part-time as a Technician at Westgate. In 2011, I opened a dog walking & pet sitting business which occupies the remainder of my spare time. Linden – A 3 yr old English Coonhound. Pedro –Approximately 7 yr old Chihuahua. BA in Psychology from the University of Minnesota- Duluth. 2005 Associates of Applied Science in Veterinary Technology from Argosy University, 2009. I enjoy animal training and nutrition. I also work with local rescue groups to bottle feed kittens that have lost their mother. I like helping people with their small dog care and behavior problems. I have 2 dogs. Pika chu is a terrier/chihuahua/poodle who was born on Valentines Day. Charlie is my rescued long-haired Chihuahua. I started off in the aviation field and received my Pilot's license. Soon after I realized my love for animals was much stronger and became a Certified Vet Tech in 2008. I have special interest in dentistry and surgery. When I'm not working I love to be outdoors, running & walking the lakes, and traveling with my husband. I have 3 dogs: "Io" who is a pit/lab mix...."Burno" who is an american bulldog/pit mix and "Simi" who is a pittbull. I started schooling at MSUM with a scholarship for softball but tore my rota-tor cuff so bye bye to that. I have changed my degree about 5 times now. I have 1 1/2 year left before I graduate in the vet-tech program. I then went to MSUM, and University of Eau Claire for a year. I grew up in Fargo, ND and since then I have lived in 4 different states! I enjoy working with animals of all sorts, since I was 5 I would tell people I wanted to be a vet or a zookeeper. I love learning new things about wildlife and animals. I enjoy spending time outdoors with family and friends. 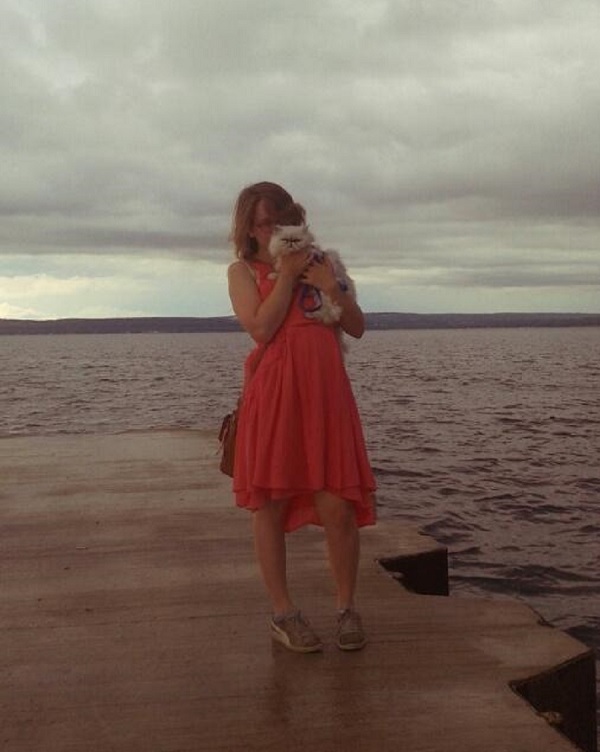 I love being active, playing my favorite sports or games, and being on the lake! I live my life by my rules! I have 5 furry children and 1 scaly fella. My 2 rough-collies- 2 year old naughty girl, Elmo and my 1 year old little man, Enzo. My 2 little monsters- 3 year old Cooper a domestic short hair tabby and 2 year old Binx a Tortie. 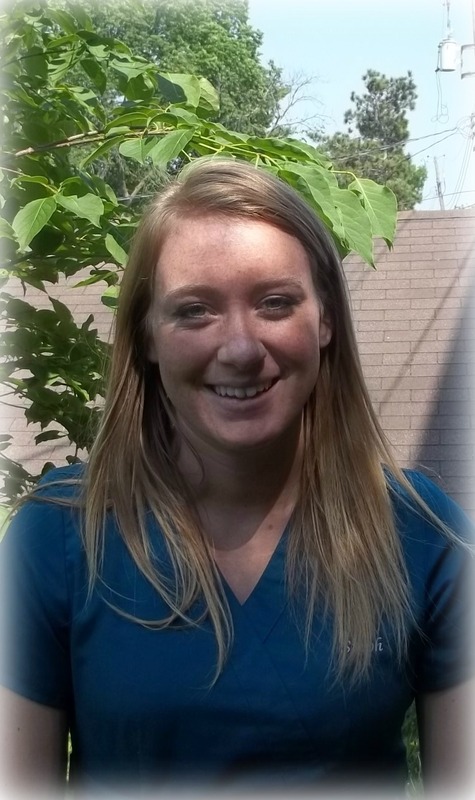 Associate of Applied Science in Veterinary Technology, Certified Veterinary Technician since 2014. After working in retail for 10+ years, I wanted to move forward in a field that made me happier and that leaves me feeling more rewarded. Knowing how much my cats brings me peace and happiness, I sort of stumbled into the field, and haven't regretted a day since. When I'm not working, I love to spend time with my husband, Tim, and the rest of my family. Some of my favorite things to do are camping in Voyageurs National Park, going to Twins or Saints games, reading and creating fun lists of things to do based on the season. Tim and I have an 13 year old domestic shorthair, Gus Gus, otherwise known as Mr. Poofy Face. I love movies, books, writing, and animals! I've always been fascinated with the ocean and want to live right on it someday. I'd love to work one day with dolphins, but until then I'm perfectly content working with our furry friends! I have two silver tabbies, Asparagus and Leonardo DiCatrio. My sweet old lady Betsy Boops passed away, and now I have another sweet old lady (who's actually pretty grumpy) named Pippin. I grew up in South Dakota, graduated from college in Boston, lived many years in Los Angeles, and have been in Minnesota since 2011. Professionally, I have managed music artists, teams, and businesses. I have a huge passion for rescuing pets and LOVE matching dogs with their forever home. Graduated from St. Olaf College with a BA in Biology. In my spare time I enjoy playing ultimate frisbee, disc golfing, board/card games, reading, and biking. I graduated from Winona State University with a Bachelor of Science degree in biology. 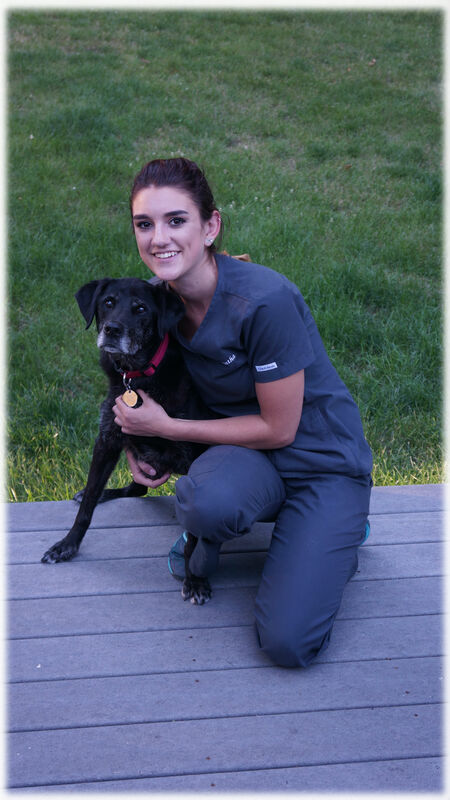 My areas of interest in animal medicine include geriatric care, rehabilitation, and nutrition. Other things I enjoy are spending time along the North Shore, viewing artists’ work at craft fairs, and playing tennis. I have three cats named Cinnabon, Willis, and Kimo who love to copy each other by rolling on their backs at the same time for belly rubs. I hope to add a lop-eared rabbit to the family soon! I graduted from the University of Wisconsin-Eau Claire with a degree in Psychology. I was particularly interested in behavioral pharmacology during my undergraduate studies and focused my minor on that topic. I've always enjoyed working in the healthcare industry and helping families on their path to recovery. 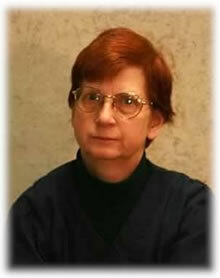 When I'm not working, I enjoy hiking, reading, and training in different martial arts. I currently have two cats, Bandit and Servo, as well as a cattle dog named Hilly. 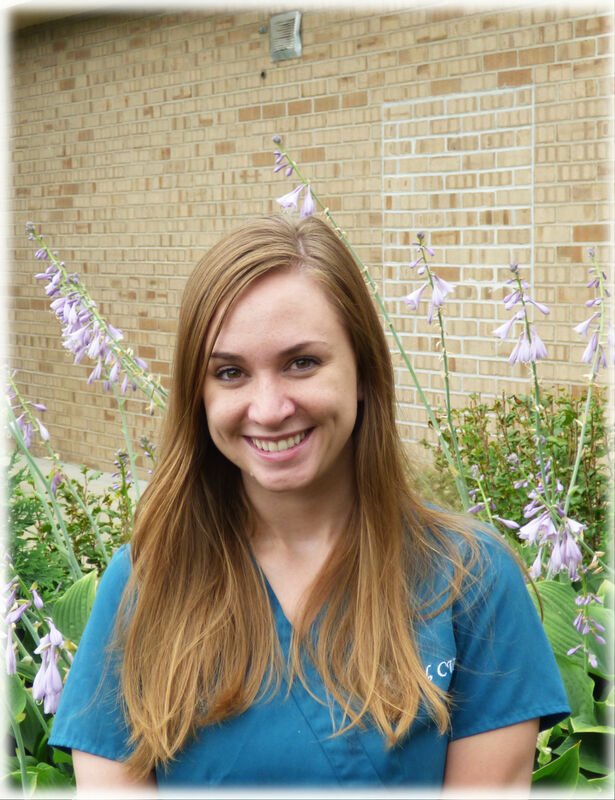 My name is Natalie Hoyt and I have returned to Westgate Pet Clinic after a two year hiatus. I am very excited to be back working with an amazing staff and also to be able to connect with the animals again! I grew up in the suburbs of Minneapolis and attended Breck School and graduated in 2000. After high school, I continued to further my education and I graduated with a B.A. in English from Arizona State University in 2005. 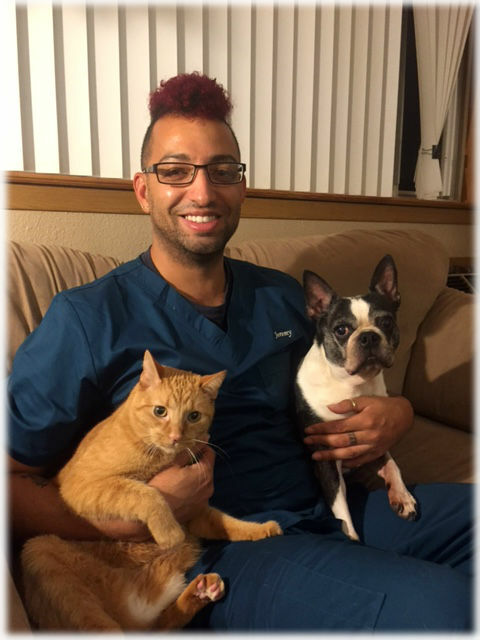 Upon graduating, I decided I really wanted to work with animals so I went to Apollo College in Arizona and obtained a degree in Veterinary Assisting. I worked at a clinic there as a technician until I moved back to MN in June of 2009. I started working for Westgate in August of 2009 and left in August of 2012 to pursue yet another degree. This time I decided to educate myself about the world of real estate. I currently hold my license in the state of MN and look forward to learning more about commercial real estate and property management in the future. I am so happy that I had the opportunity to come back and work at Westgate part time as I always felt a void after I left a few years ago. After high school I received my Cosmetology license and worked as a hair stylist. After a few years I realized that my passion for animals was something I enjoyed and wanted to make it into a lifelong career. 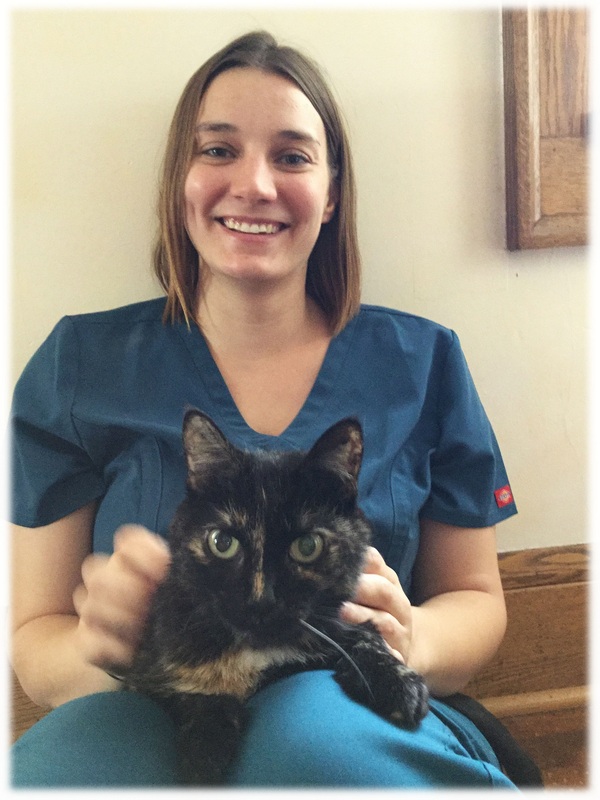 I started working at an emergency vet clinic in North Carolina and then moved back to Minnesota and spent the last four years working at an emergency vet clinic in Eden Prairie. 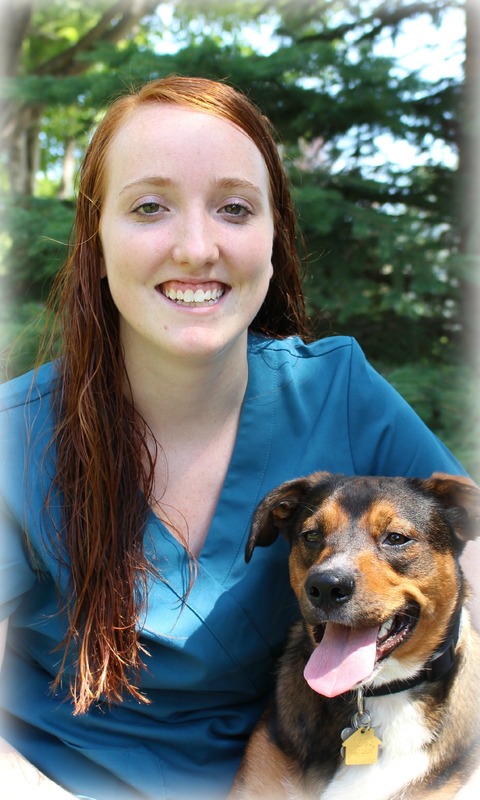 I am excited to continue my career with Westgate and to build relationships with clients and their pets. In veterinary medicine, some of my interest are surgery, emergency and critical care. In my spare time, I enjoy summer days out on the lake and winter days skiing on the slopes. I have a 2 year old French Bulldog named Marty and a 9 year old cat named Mabel. 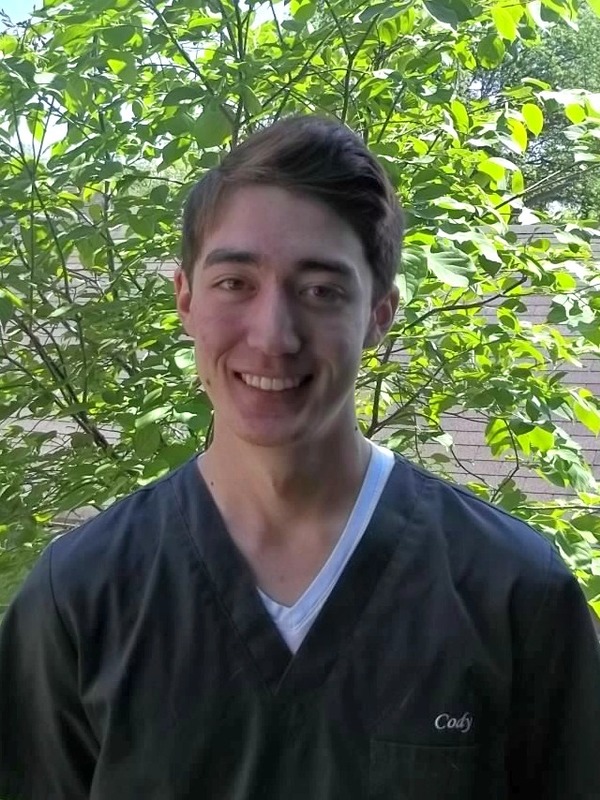 My areas of interest in veterinary medicine include anesthesia, dentistry and feline medicine. When I am not working I enjoy spending time with my family and friends, biking and playing piano. I love working with companion animals, especially dogs. I am interested in animal nutrition, behavior and surgery. When I’m not working or at school, I like to spend time with family and friends outside. I love spending the day on the lake. I enjoy running with my dog, tennis, trap shooting, and watching movies/tv. I am glad to be working back in Edina where I went to school K-12. I have a 9 year old ¾ Cavalier King Charles Spaniel and ¼ Bichon Frisé mix named Ripley. I graduated from Iowa State University in May 2014 with a Biology degree with minors in Anthropology and Animal Ecology. I play indoor and outdoor volleyball, hike at state parks, and do small arts and crafts projects like scrapbooks and making house decorations. I've had one pet in my life and he has been standing by me for 7 years now! He is a leopard gecko and his name is Kye! 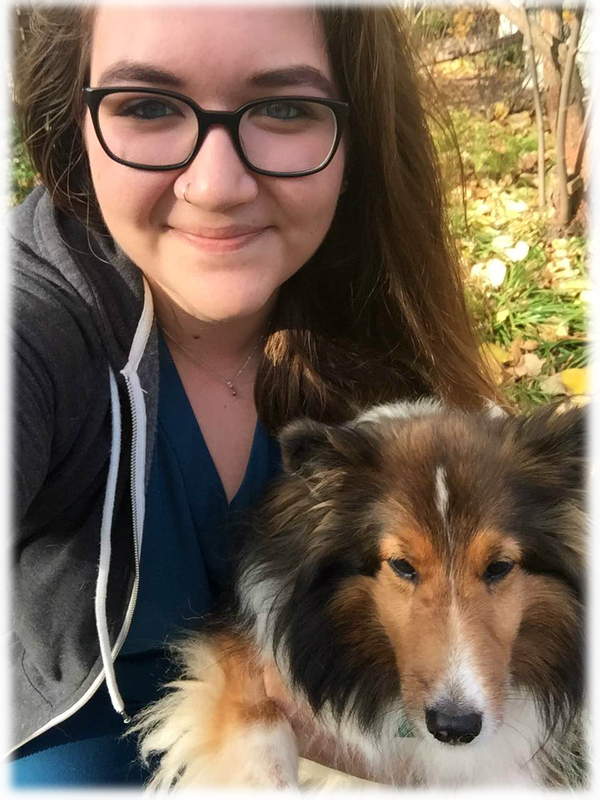 I currently attend the University of Minnesota-Twin Cities for my undergraduate degree and look forward to hopefully going to Vet school in the future. I love all animals but I am definitely a dog person! I am very interested in the behavior of dogs and love to train them and teach them tricks. In my free time I love to travel, camp, run and spend time with family and friends. Izzy is my crazy and lovable 1 year old German Shepard Mix. 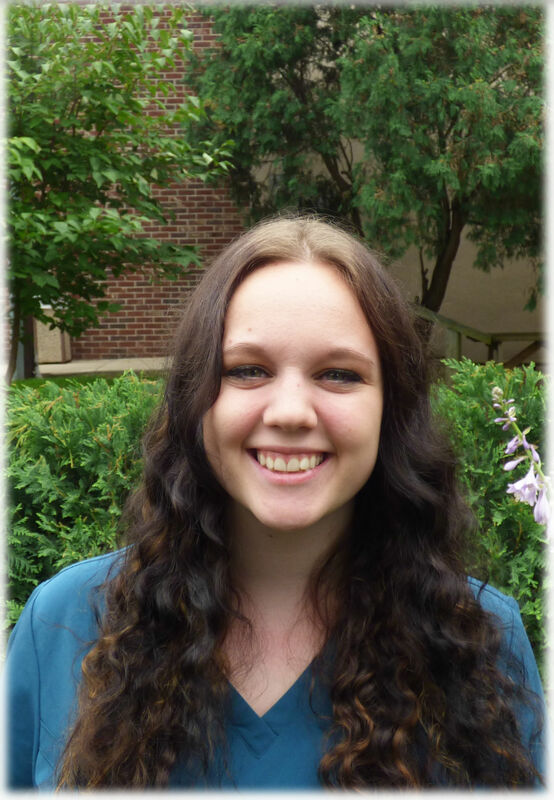 Currently an Undergraduate at the University of Minnesota--Twin Cities majoring in Animal Science with an emphasis in Pre-Veterinary Medicine. I love all animals, but my heart melts for dogs, especially geriatric patients. 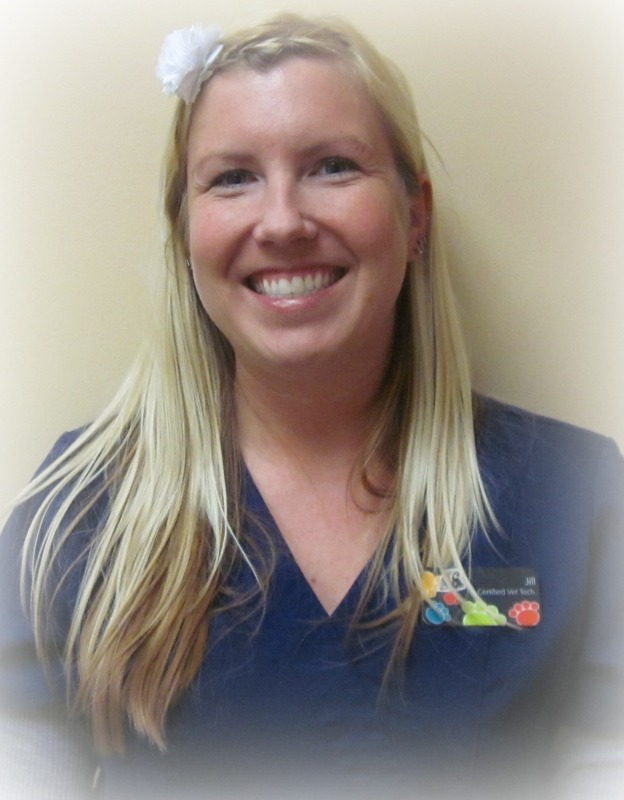 I have a special interest in oncology, rehabilitation therapy, and making a positive impact on each patient's life. During my free time, my favorite thing to do is to spend time with my family. I cherish every moment with them especially our many adventures from the cabin to our numerous trips to Chicago. Zoey is my old lady that has been my heart and sole behind wanting to be in the veterinary medicine field. She is a 14 year-old black lab/beagle mix that loves to greet people at the door. 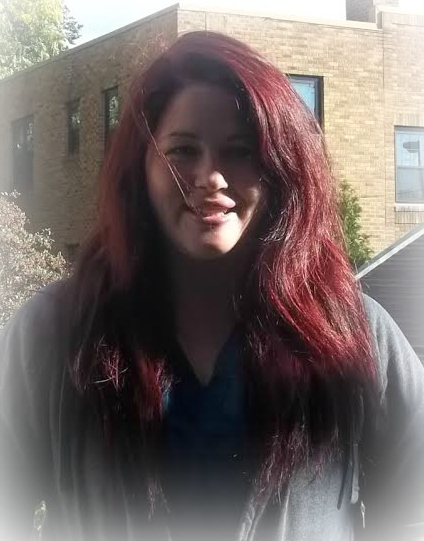 I am currently going to school at Argosy University to become a Veterinary Technician. I am scheduled to graduate next summer. I live in Eagan with my husand and 7 year old daughter. 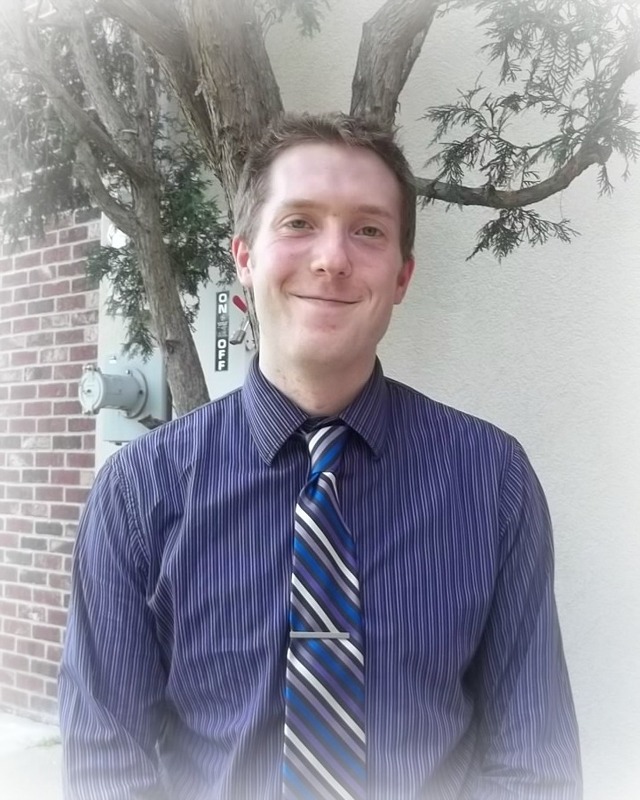 Between school and working at Westgate I enjoy hiking, biking, traveling, and spending time with my family. We have two cute cuddly kitties, Sammy and Stella. 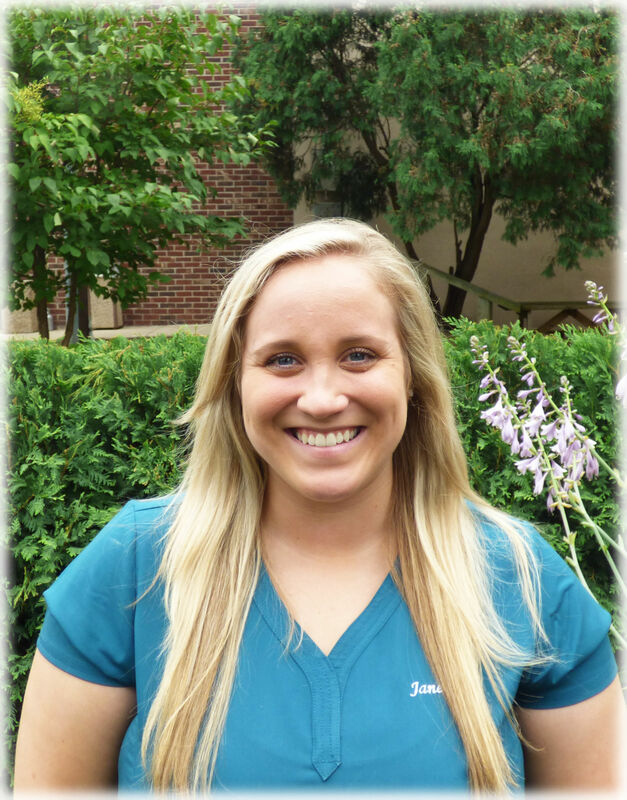 Current student at Rasmussen College with a major in Professional Nursing. Graduating December of 2018. I grew up on a ranch in a small town in central California, and was a competitive horseback rider in cutting cow horse, and team cattle sorting. I have always loved caring for animals and people, and have a passion for medicine. 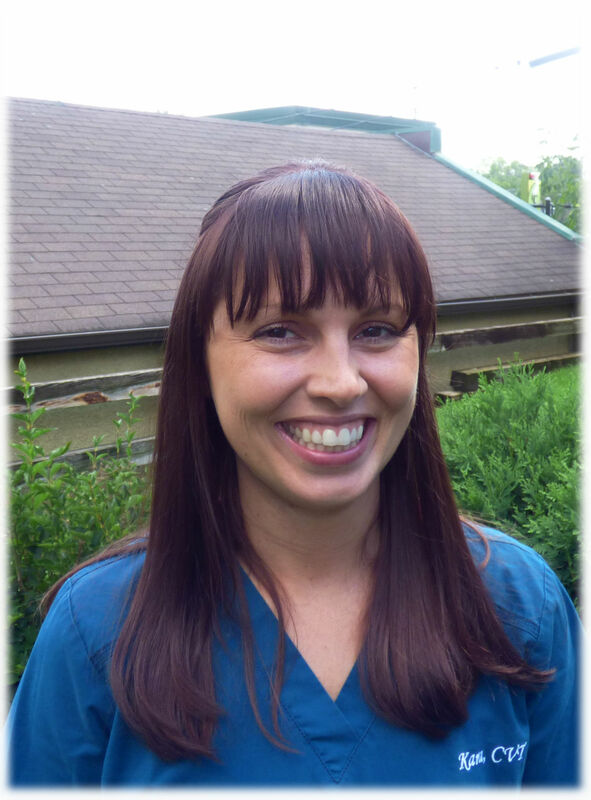 I love working in veterinary medicine, and am furthering my education in human medicine. Currently I have a 14 year old labrador retriever named Diamond, she is a retired duck/pheasant/grouse hunting dog, she now spends her days begging for treats and attention. I was originally born in Minneapolis but spent most of my childhood in Louisiana. I moved back to Minnesota when I was 12. I currently live in Minneapolis and really enjoy exploring what the city has to offer. My husband and I love to take strolls with the our dog Vinny around the lakes, peace garden, and rose garden. I have a Boston Terrier named Vinny and an orange tabby named Mojoe. I graduated from Colby College in Maine with a Bachelor's degree in biology and environmental science. 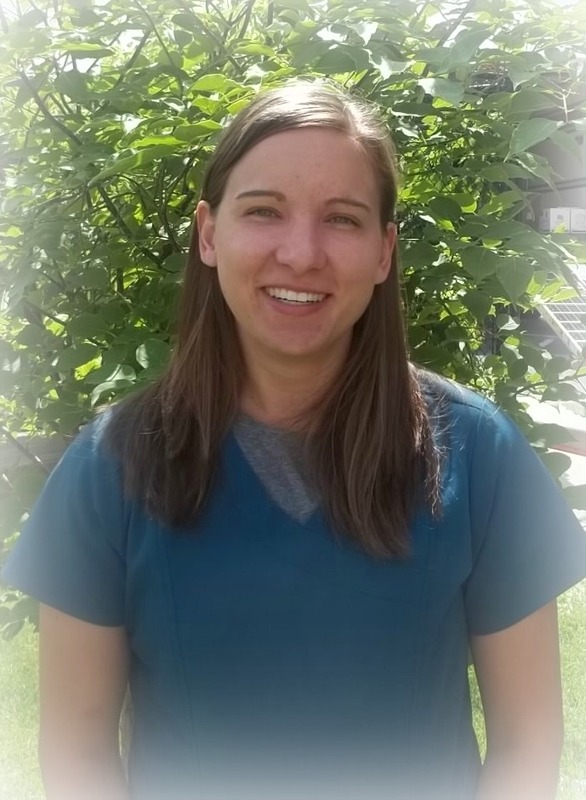 My experience in animal medicine has been primarily focused on wildlife, but I am very excited to get the opportunity to work with companion animals. I hope to one day pursue a career as a wildlife rehabilitator or a veterinary technician. 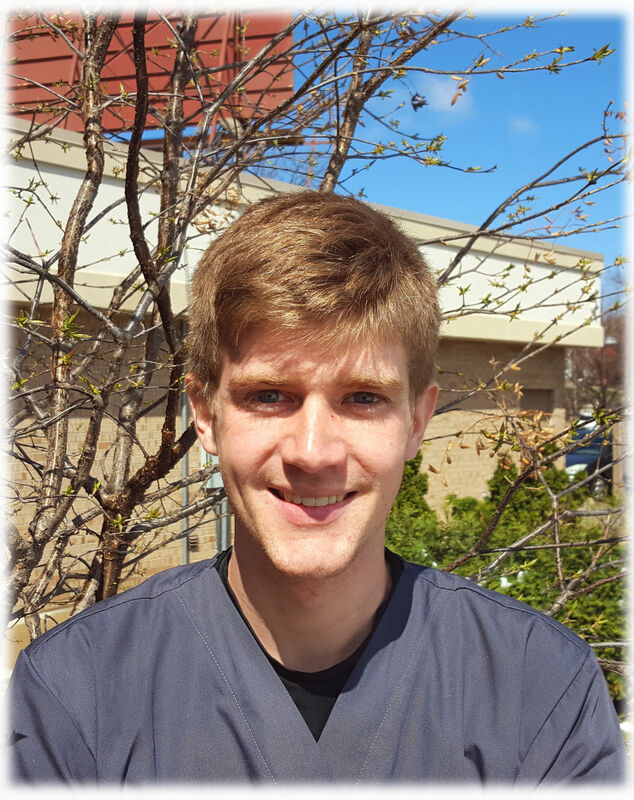 Outside of the clinic, I enjoy hiking and camping (and generally spending time outdoors), playing piano, and spending time with my family. I have an eleven-year-old Shetland Sheepdog named Saidie and an eighteen-year-old cat named Galaxy. I graduated with a bachelors degree in zoology from the University of WI, Madison. In my free time I enjoy being outdoors, reading, spending time with family and friends, and traveling. I plan to volunteer with wildlife rehabilitation again, and go back to school to further my education into veterinary medicine. I have a sassy 15 year old cat named Trixie, and hope to eventually have a house full of rescue dogs, cats, and rabbits. Not in school currently, but hope to work with giraffe conservation someday. I love to hang out with my two cats and fiancé, play with my Sheltie niece, go to the zoo, go horseback riding, go scuba diving, and travel. I have two very sweet and handsome kitties. Kellen is a 1 year old Domestic Medium Hair with tuxedo coloring. Kaiden is still a kitten and is a Domestic Short Hair with tabby markings. They love to play and snuggle, and of course play! I majored in biology at St Olaf College. I enjoy reading and spending time up north during the summer. I have a cat named Sweetheart who I spoil rotten.